Meet on the lot at Fox Studios on May 13th for an in-depth analysis and discussion of the screenplay BOOKSMART. On the eve of their high school graduation, two academic superstars decide they should have worked less and played more, so the best friends try to cram four years of fun into one night. 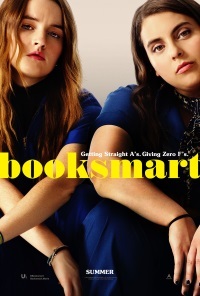 The original draft of Booksmart by EMILY HALPERN & SARAH HASKINS landed on the Black List (the industry’s ranking of the best unproduced screenplays) in 2009. Halpern’s first writing job was on the one-hour drama series The Unit in 2007. She switched to comedy when she teamed up with Haskins, whose earliest writing credit was on InfoMania, a weekly news satire on Current TV. Together they co-created the 2013 ABC sitcom Trophy Wife starring Malin Akerman and Bradley Whitford. Before going into production, Booksmart was rewritten by the team of SUSANNA FOGEL & KATIE SILBERMAN. Fogel previously co-wrote and helmed last year’s action spy comedy The Spy Who Dumped Me starring Mila Kunis and Kate McKinnon, while Silberman was a co-writer on this year’s hit rom-com Isn’t It Romantic starring Rebel Wilson. We will be discussing the 2009 Black List draft by Halpern & Haskins, making this a great opportunity to analyze a script as it looked when Hollywood first discovered it, discuss what changes it might need to shape it into the critically-acclaimed festival hit it’s already become, then go see the finished movie in theaters when it’s released on May 24 to see how the development process improved it. The coming-of-age comedy stars Kaitlyn Dever (Last Man Standing, Short Term 12) and Beanie Feldstien (Lady Bird), with Lisa Kudrow (Friends), SNL’s Jason Sudekis and Will Forte, Noah Galvin (The Real O’Neals), Billie Lourd (Scream Queens), Skyler Gisondo (Santa Clarita Diet), and Jessica Williams (The Daily Show), and marks the directorial debut of actress Olivia Wilde (House, Life Itself). From executive producers Will Ferrell and Adam McKay for Gloria Sanchez Productions and producer Megan Ellison for Annapurna Pictures, distributed by United Artists. WARNING: The following red-band trailer is NSFW. Not Yet Rated. 105 minutes. 121pages. Comedy, Coming-of-Age. WENDELL WELLMAN will provide in-depth analysis and lead our discussion. 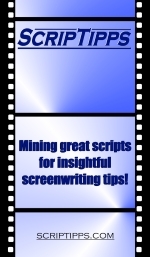 A teacher, screenwriter, actor, playwright, and author of A Writer’s Roadmap, Wendell has taught screenwriting at UCLA and has been a frequent guest moderator at StoryBoardDG.com’s Screenplay Development Group. As an actor, Wendell studied under Lee Strasberg and Peggy Feury at the Strasberg Institute and has appeared in episodic television, theater, and motion pictures, including prominent roles in the films The Klansman starring Lee Marvin and Richard Burton, Sudden Impact, Sommersby, and Street of Dreams. As a writer, he teamed up with Alex Lasker to adapt the novel Firefox for director Clint Eastwood. He also did additional work for Eastwood on the screenplay for Sudden Impact and wrote a final Dirty Harry project. Wendell also worked with the West End Theatre Group as co-founder and artistic director while continuing to alternate between acting and writing assignments. He is currently writing original feature scripts as well as a screenplay adaptation of The River Journey by acclaimed novelist Robert Nathan.